The Rebel Sweetheart. : Foodie Goodie | Uni-Pak Sardine Curry Recipe + Giveaway! 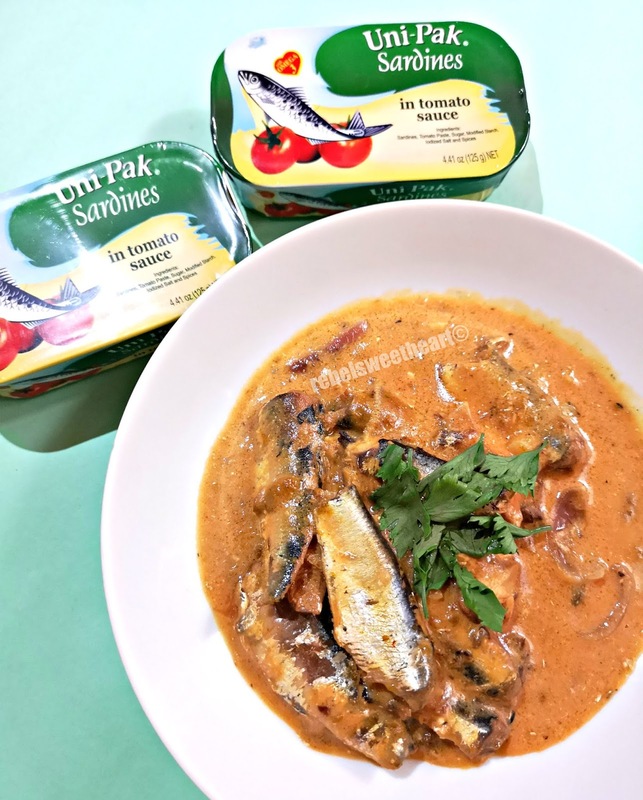 Foodie Goodie | Uni-Pak Sardine Curry Recipe + Giveaway! I love cooking. It's one of the many interests that I share with my husband, and one of the very few household chores that I actually enjoy doing. I find a sense of fulfillment in preparing meals for my family, and seeing them enjoy the food that I cook brings me great satisfaction. But like most moms who work or have other chores to do, there are days when I feel too lazy or too tired to slave in the kitchen. In times like this, I count on my stash of canned goods for a quick-fix meal. 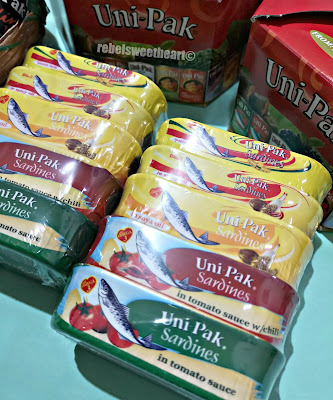 Yue loves fish, so I make sure that we always have canned sardines or mackerel at home. And when it comes to canned fish products, our brand of choice is Uni-Pak. Pak na pak sa Uni-Pak! The flagship brand of SLORD Development Corporation, Uni-Pak products are made with the finest ingredients and are packed and produced under the most sterile conditions. Kris Aquino's recent tour of the SLORD plant in Navotas City is proof that Uni-Pak products are manufactured in a sanitary environment and go through strict quality control. Clean Production, Safe to Eat. Going back to quick-fix meals, one of my favorite ways of enjoying sardines is by simply squeezing some lemon on it after I've taken it out from the can. Yue, however, prefers them sauteed or curried. It's my son's penchant for curry-flavored food that inspired this twist to a simple can of sardines. 1. Heat olive oil in a skillet. Saute the garlic and onion until softenend. 2. Add the coconut milk and curry powder, mix them well. 3. Add the sardines together with the tomato sauce. Mix gently and cover and cook in low hear for at least five minutes. 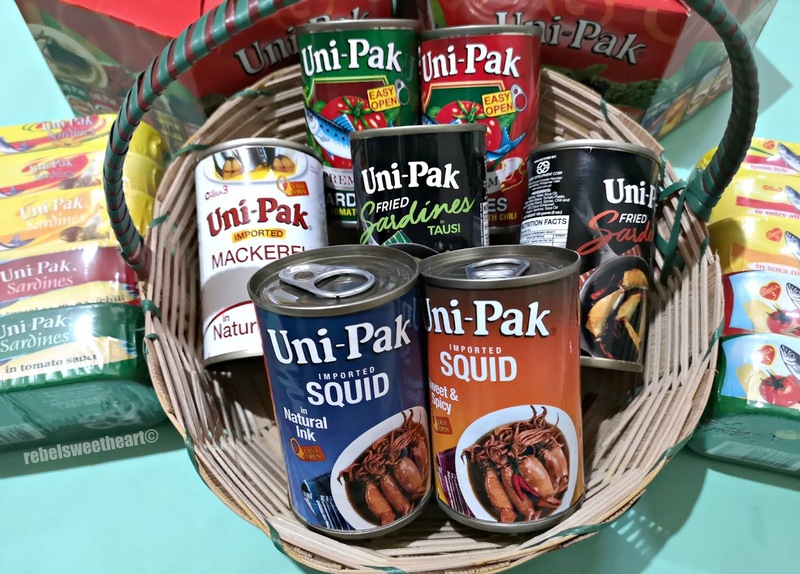 Now as a treat for my readers and followers, I'll be giving away a Uni-Pak Gift Pack so you can try this recipe at home, as well as Uni-Pak's wide array of products. It's been awhile since I hosted a giveaway, and it's nice to be doing this again with a brand that I truly believe in. An assortment of Uni-Pak products! To enter the giveaway, simply complete the tasks on the Rafflecopter below. This contest will run from August 6 until August 13, 2018, open to Philippine residents only. One lucky winner, randomly chosen, will receive a Uni-Pak Gift Pack. I FRIGGIN LOVE SARDINES - for some reason I have NEVER thought to make canned sardines into a curry of sorts! THIS IS GENIUS and I am 10000% doing this! I really love these kinds of recipes! Working in SCUBA diving you often come home and are way to exhausted to cook a serious meal. So I really enjoy upgraded simple meals like this! thanks for the recipe! I find such joy in cooking for my family but often don’t have the time to do an elaborate meal. Finding alternatives like this is so helpful! 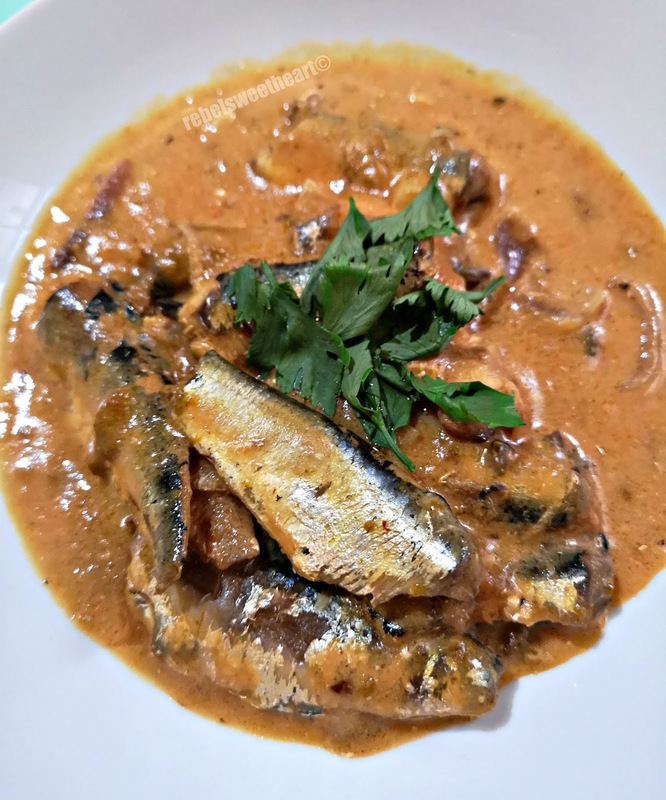 I do love sardines so much, I have never tried to eat this brand but it looks so delicious and aside from that curry is one of my favorite flavor in any dish. This is a great giveaway. I am not a big fan of sardines but I know so many people who love to enjoy them. Wow! It looks good! I never thought about this before! a new way of enjoying sardines! Love it! We have never eaten or cooked with sardines! But this post makes us want to try them. I love cooking for my family. However, I do not like sardines. I can't even get my husband to eat any other fish except tuna. There's no way I'd get him to eat sardines. Sounds like an interesting recipe though. My husband would enjoy this. I cannot handle sardines very well. DROOL. I love love love love sardines so much it's not even funny!! Sign me up for UNI PAK! I'm not a big sardine fan, but the recipe looks interesting - maybe I'll try it! Canned sardines is my favorite go-to meal when I am alone in the house. I love the spicy kind in olive oil. Goes very well with saltine crackers and makes for a delicious, healthy, filling snack too. My husband would love this recipe! I will definitely be sharing this with him and trying this out!